Proper nutrition is the secret of healthy, successful people. Moringa Oleifera improves both strength and stamina by providing the body with amino acids, vitamins, and minerals. 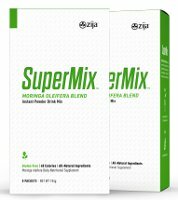 Zija's Moringa nutrients, when mixed with water, are 100% bio-available and encourage a boost in the body's energy levels. The body is nourished with Moringa's 100% natural vitamin A, vitamin E, calcium, iron, protein, potassium and so much more. Other non-food health supplements, which are usually made or processed with petroleum derivatives and hydrogenated sugars, fail when compared to Natural Zija Moringa. Drink Life In with Zija moringa to nourish, enhance, and protect your body.